Local music producers Banana Stand Media flex their film muscles with the first in a series of videos showcasing Portland’s craftsmen. 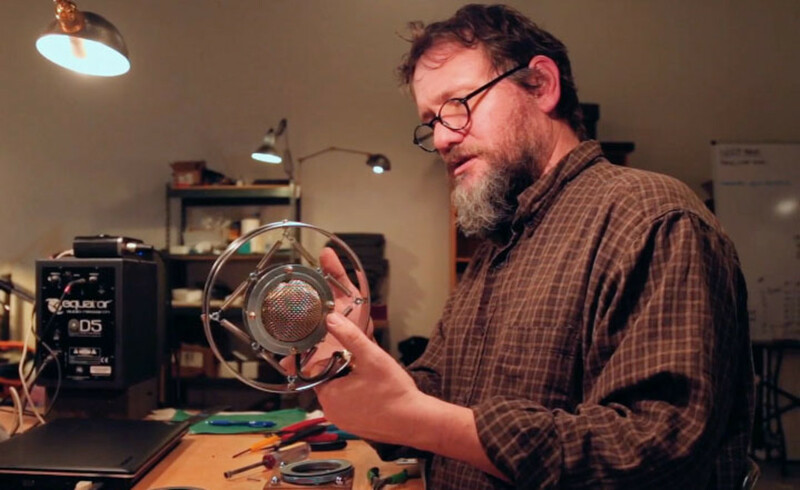 Philip Graham, a self-proclaimed “tinkerer”, has been handcrafting microphones in his Portland workshop since he made the first one for his daughter, a singer, so that she could have better audio quality. Today he is living his tinkering dream crafting his own beautiful, geometric microphones—made from junk yard and surplus store finds—through his company Ear Trumpet Labs. Graham is the star of a new video (check it out below), the first in a series by Banana Stand Media, a Portland production company created by music masterminds Aaron Colter and Louie Herr. The duo has been on the go since 2007 when the best friends moved to Portland together and started recording bands in their basement. Since then they’ve worked with over 70 bands and put out 80 live albums through Banana Stand Media. And all for free. Banana Stand Media—a tongue-in-cheek reference to the Arrested Development trope that “there’s always money in the banana stand”—is a volunteer operation. They don’t charge the artist—they say it’s a way for them to support the local music scene. The series first started out as a way for them to pay people who had offered their materials to Banana Stand Media for use in their musical productions, a sort of barter system. Philip Graham had donated his microphones for a Banana Stand recording, and this video was a way for them to say thank you. 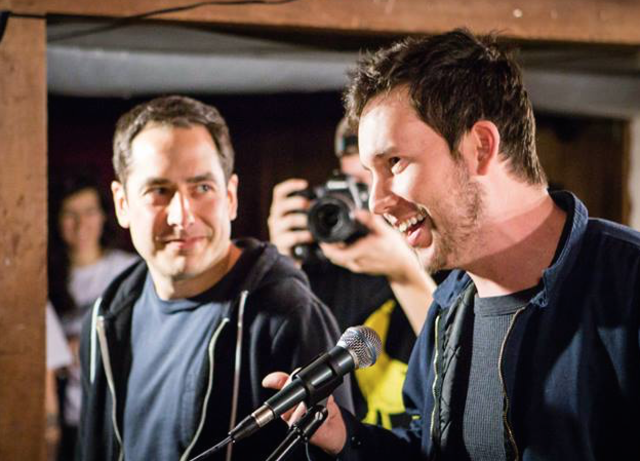 According to Colter, the long term goal of Banana Stand’s new venture is to make a profit. Right now, though, the company is happy to produce these videos for free. Colter says they’re enjoying the change in tempo and exploring the local community. Banana Stand Media plans to release four to six videos over the course of the year, each on a different person or organization. Up next in the video series is Southwest based Vita Mastering, an audio mastering company that has worked with Radiation City and Tango Alpha Tango among others. Watch Banana Stand Media’s website for the rest of the series.